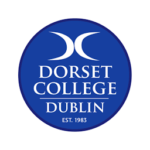 Dorset College has provided part-time courses, evening classes and training in Dublin for more than over 30 years. 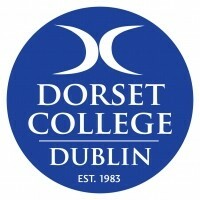 Dorset College has a strong reputation for excellence in courses and training, based on over thirty years experience providing courses with clearly defined career paths and excellent academic progression. Graduates of Dorset College work in many of the leading industries in Ireland and abroad. Dorset College offers a student-centred learning experience and staff take pride in the success of graduates of their courses and evening classes. Dorset offers a wide range of full and part-time courses to meet the needs of learners at all stages in their lives and career and are committed to ensuring that students get the opportunity to develop their full potential in a professional and supportive environment at the college. At Dorset College, courses are delivered in a dynamic environment by a highly-qualified and experienced team of lecturers. The college has a strong focus on industry-accredited courses with excellent career and job prospects. The college provides excellent facilities and support to students to enable them to achieve their goals, with small class sizes and quality of courses. The College has faculties of Computing & Multimedia, Business, Accounting & Governance, Healthcare & Childcare Education. Dorset College also offers Springboard courses, blended & elearning, short evening courses and much more. In additional short, evening classes, The English Language School at Dorset College provides an extensive range of English language programmes that include preparation for IELTS, Cambridge, TIE and Trinity College London Examinations. Dorset College is a member of MEI RELSA and is recognised by ACELS. If you require further information, please do not hesitate to contact Dorset College or view their courses below in Nightcourses.com’s Course Finder.